More isn’t always better, less strokes on the greens means lower scores. Batavia, IL – The lineage of the David Glod putters continues with artful conception in the new Tour Edge Exotics David Glod Tour Series putters. Personally designed and hand crafted by president and founder David Glod to meticulous detail. In true Exotics fashion, David Glod Tour Series putters are truly one of a kind. The David Glod Tour Series putters feature three tour inspired designs with a high-toe profile to eliminate the tendency to raise the toe at address, causing putts to go left of the hole. Further enhancing the setup, the putters feature a True Temper step-less steel shaft that provides a clean appearance at address and a firm, responsive feel. Two sophisticated finishes are available, a silver-bead finish or black PVD finish in three models: V1.3 (full offset cavity back blade), V2.3 (half offset cavity blade), and V3.3 (semi-mallet). Priced at $249.99, the David Glod Tour Series putter are now available in stores nationwide. Each putter comes with Tour Edge’s lifetime warranty and a 30-day play guarantee. For more information, call (800) 515-3343 or visit www.touredge.com. 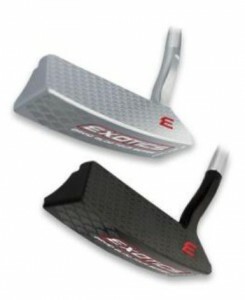 Located in Batavia, IL, Tour Edge manufacturers and sells golf clubs under both the Exotics and Tour Edge brands. Exotics golf clubs are for those who demand the finest performing golf clubs in the world. With experienced designers and smaller production runs, Exotics by Tour Edge can bring futuristic technologies to the marketplace months, even years, ahead of its time. Exotics’ manufactures the finest quality, high-technology golf clubs and hand-assembles them one club at a time. The company’s clubs are distributed throughout the United States and the world. (Centennial, Colo) – GolfTEC – the world leader in golf lessons – announces that all improvement centers across the U.S. and Canada are offering discounted Swing Evaluations now through the end of May at a special $95 rate. The hour long sessions include video analysis, motion measurement, a fact-based diagnosis and a lesson plan to follow. 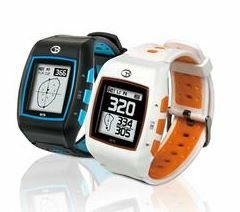 During these 60-minute sessions GolfTEC’s Certified Personal Coaches use the company’s patented g-SWING technology to quantify each student’s swing and compare it to Tour averages. This data is used to build a personalized Game Plan that will address the changes needed to help golfers of all skill levels achieve longer, straighter shots and lower scores. More information on Swing Evaluations is available at www.golftec.com/95swingeval. GolfTEC lessons and Swing Evaluations are taught one-on-one in private, indoor bays that utilize proprietary teaching technology. Highly efficient and boasting a 96 percent success rate, GolfTEC’s Game Plans help golfer of all abilities maximize on-course performance and enjoyment. Developing a comprehensive improvement plan for each student is the foundation of GolfTEC’s philosophy. 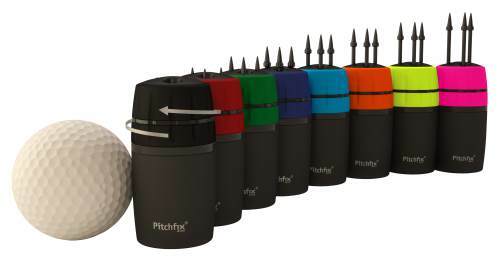 All the Game Plans include a TECfit club fitting combined with outside short-game and on-course lessons. The renowned coaching staff is comprised of experienced professionals, most of whom have taught thousands of lessons. Each goes through a rigorous multi-week certification at GolfTEC University including continued advanced training to master the analysis of golf mechanics, the technology of the GolfTEC system and the most productive teaching techniques. Committed to strengthening the industry and hiring only the best staff, GolfTEC is the largest employer of PGA Professionals in the world. To learn more about the $95 Swing Evaluation promotion please visit www.golftec.com/95swingeval or call 877-446-5383. The world leader in golf lessons has a 96 percent success rate among its students. The more than 600 GolfTEC Certified Personal Coaches at nearly 200 centers worldwide, including nearly 80 within Golfsmith stores, have given over 5 million lessons since 1995. All lessons are based on the company’s “Five Factors:” Fact-Based Diagnosis, Sequential Lessons, Video-Based Practice, Advanced Retention Tools, and TECfit club fitting. GolfTEC Improvement Centers can be found in almost all major U.S. cities, Canada, Japan and Korea. (VIENNA, VA) – Billy Casper Golf (BCG) and its Buffalo Brand Invigoration Group (Buffalo) division have contributed to 24 courses earning top rankings on Golfweek magazine’s recently-released 2015 “Best Courses You Can Play” state-by-state list. Owner and operator of more than 150 golf courses, country clubs and resorts nationwide, BCG-managed Wintonbury Hills Golf Course (Bloomfield, CT) and Lake Presidential Golf Club (Upper Marlboro, MD) rank among the top three in their respective states. Perennial and picturesque favorites Mauna Kea, Kauai Lagoons and Royal Ka’anapali golf clubs are among Hawaii’s top 15. Buffalo manages public relations and marketing for dozens of golf properties directly and others through tourism agencies and golf cooperatives. Highly-ranked courses include The Champion at PGA National Resort & Spa (Palm Beach Gardens, FL), Harbour Town Golf Links at The Sea Pines Resort (Hilton Head Island, SC), Sweetgrass Golf Club (Harris, MI), Old American Golf Club (The Colony, TX), Pound Ridge Golf Club (Pound Ridge, NY) and Salish Cliffs Golf Club (Shelton, WA). Several other courses partnering with BCG and Buffalo rank among the top 10 on their state’s list. The state-by-state rankings – tallied by hundreds of Golfweek raters nationwide – takes into account the overall strength of routing, feature shaping, natural settings, greens, the variety and remarkable nature of holes, conditioning and maintenance, landscape management and other criteria. Company highlights include BCG Spectrum, BCG Private and BCG Select management solutions; Buffalo Brand Invigoration Group, the in-house golf-sport-lifestyle PR, strategy development, integrated marketing, social media and design firm; BCG Ventures featuring proprietary, innovate programs like the annual “World’s Largest Golf Outing,” Women on Course, and Casper Labs, the testing ground for FootGolf, GolfBoard, Billy Casper Digital Network and other programming which drive engagement. Through its public relations, strategy development, integrated marketing, social media and design work, Buffalo BIG increases awareness, market share and profits for companies operating in more than 40 countries. A division of Billy Casper Golf – the largest owner-operator of golf courses, country clubs and resorts in the U.S. – Buffalo’s golf, sport and lifestyle clients include ECCO, LPGA, Sports Turf Managers Association, World Golf Foundation, KENTWOOL, Fila Golf, Dollamur, Nicklaus Brands, Kauai Visitors Bureau Golf Cooperative, CHAMP Spikes, Ballybunion Golf Club (Ireland), Arccos, PGA National Resort & Spa, Galvin Green, Sea Pines Resort, Cordillera Ranch, Team Express, Club Glove and Keswick Hall. DST Golf – developer of award-winning warm-up clubs featuring patent-pending Delayed Strike Technology – reports that the company’s revolutionary Compressor club was used for warm-up and practice by the winner of the 2015 Zurich Classic of New Orleans. Based in Salisbury, England, DST Golf was founded by former European Challenge Tour player, Bertie Cordle in 2013. Cordle taught at a number of top flight golf academies in the UK, Portugal and Germany and spent three years studying the biomechanics of ball striking which culminated in the design and development of DST Golf’s patent pending technology.